Osteosarcoma is a type of bone cancer, which is most common in young age groups. Severe pain and swelling in the bone region of various parts of your body such as legs, arms, etc. are some of the most common symptoms of osteosarcoma. Who are at a risk of osteosarcoma? Male teens are at greater risk of this condition when compared to females. Generally, this cancer develops during the growth period. People who are bony and taller than their age are at higher risk for developing osteosarcoma. 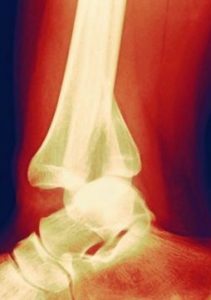 Swelling of the bones weakens them and also leads to fractures in the bones, which is definitely a sign of osteosarcoma. People with osteosarcoma when living in a humid environment or sleeping/working in places where air conditioners are continuously used can feel more pain in the bones than others. Undergoing radiation therapy during early ages due to cancer can greatly increase the risk of osteosarcoma. If there is a history of bone diseases in your family, then also you are at an increased risk for developing this condition. Treatment for osteosarcoma mainly depends on your age, cancer stage, location and size of the tumor. 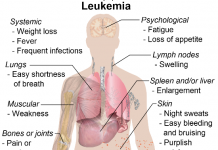 Generally, treatments include radiation therapy, chemotherapy and surgery. Surgery completely removes the cancer tumor. Sometimes you may also lose your limb because treating cancer of lymph nodes is impossible without removing the limb. Another option for treating Osteosarcoma is chemotherapy, in which various types of drugs are used to destroy the tumors. Again the combination of drugs depends on your age, stage and the type of cancer.